that the revisionists are right. •“Prof. Zimmerman proved that the crematories in Auschwitz could cremate all victims of the claimed mass murder.” – as an accountant, Zimmerman proved only his lack of knowledge. •“Profs. M. Shermer and A. Grobman refuted the entire array of revisionist arguments” – they merely covered a tiny fraction of revisionist arguments and botched their attempt at refutation. 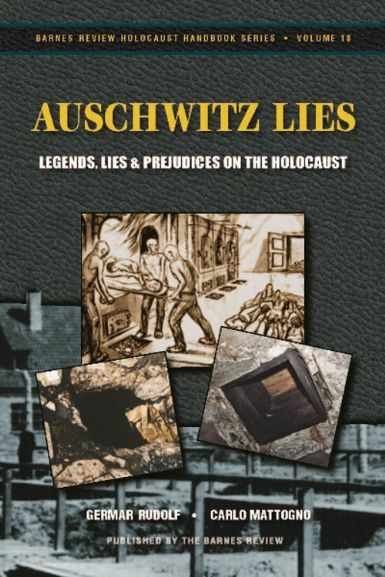 •“Keren, McCarthy, and Mazal found the ‘Holes of Death’ proving the existence of the Auschwitz gas chambers” – they twisted evidence to support their case and suppressed facts refuting it. ostracize dissident historians and to keep the entire western world in merciless Holocaust servitude.